Are you also feeling a bit disoriented when you hear any of the following terms: Ambient tracking, Bounty Programs, Solar Highways, 5D Printing, Digital Frailty, Nanobot Nurses, and Thinkables? 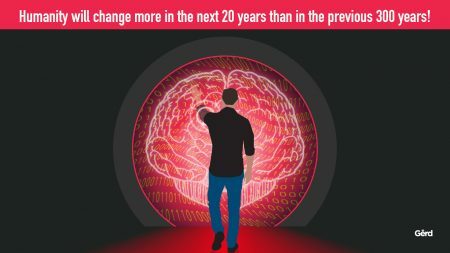 Relax, these are just some of the more exotic examples out of the 315+ technology and science trends report by The Future Today Institute, aka Futurist Amy Webb and her team. 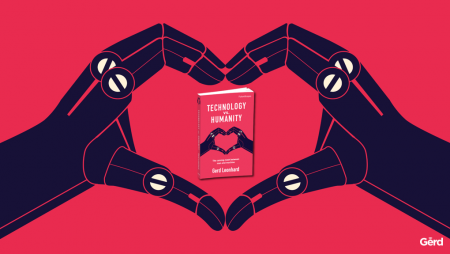 The report includes 300+ Tech and Science Trends, 5 Weak signals for 2020, 48 scenarios describing plausible near futures, 9 toolkits and frameworks, 5 technology primers, 3 glossaries, and a list of the 50 world’s smartest cities. The consolidation across the big tech giants continues. 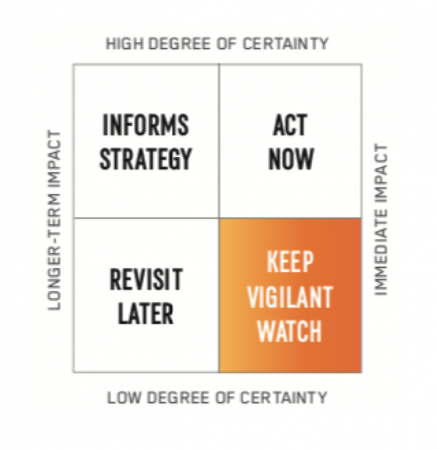 Almost every single trend got an “Action Meter”, helping organizations to orient their compass towards foresight, education, discovery, or speculation mode. This is a must-read futurists’ reports for Executive Leaders, Strategic Planners, Investors, R&D Teams and Labs, Risk Management, Product Design and Innovation Groups, Boards of Directors, and Policymakers and Regulators. Amy Webb has also a brand new highly recommended book: “The Big Nine: How the Tech Titans & Their Thinking Machines Could Warp Humanity” – a very good fit with Gerd’s book “Technology vs. Humanity” 🙂 Both Gerd and Amy stress the importance of getting the right balance between technology and humanity and the associated investments in your strategic endeavours.